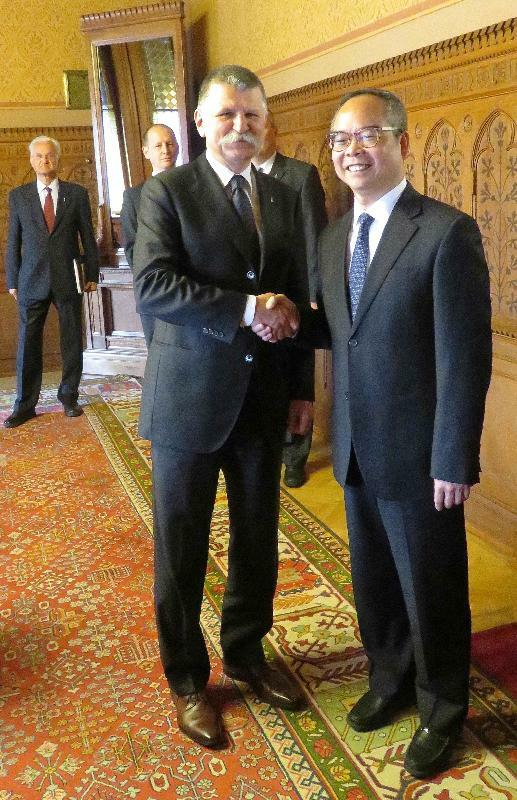 The Secretary for Home Affairs, Mr Lau Kong-wah, began his visit in Budapest in Hungary yesterday (May 8, Budapest time). Mr Lau called on the Minister of Foreign Affairs and Trade of Hungary, Mr Péter Szijjártó; the Speaker of the Hungarian National Assembly, Mr László Kövér; the Minister of State for Family and Youth Affairs, Ms Katalin Novák; and the Rector of the University of Physical Education, Dr Lajos Mocsai, to explore the deepening of exchanges on culture, sport and youth in the two places. 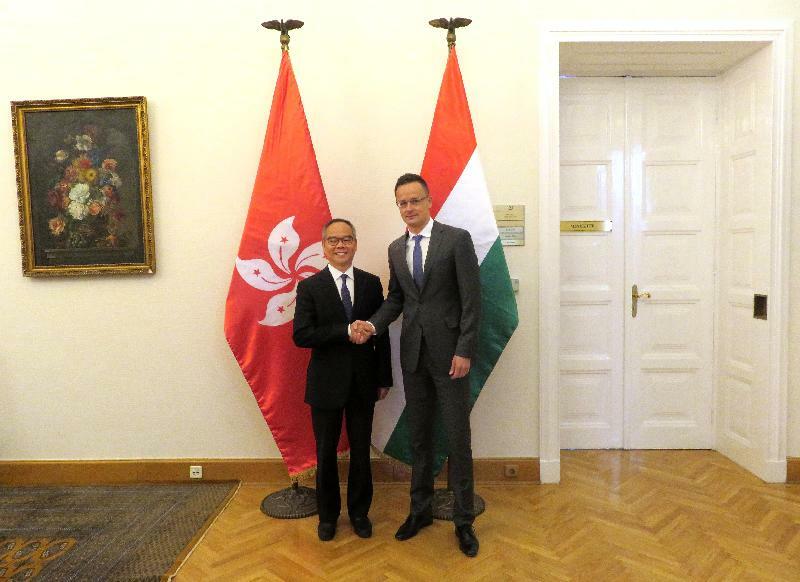 Mr Lau briefed Hungarian officials on the latest cultural, sport and youth developments in Hong Kong and discussed how to capitalise on the opportunities arising from the country's Belt and Road Initiative. 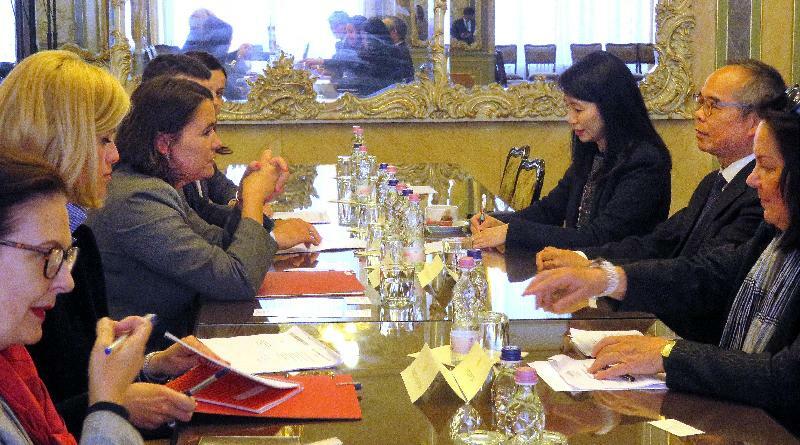 While in Budapest, Mr Lau also met with the Political Counsellor of the Chinese Embassy in Hungary, Ms Chen Xiaojun. Mr Lau will depart for Vienna in Austria this morning (May 9, Budapest time) to continue his visit.